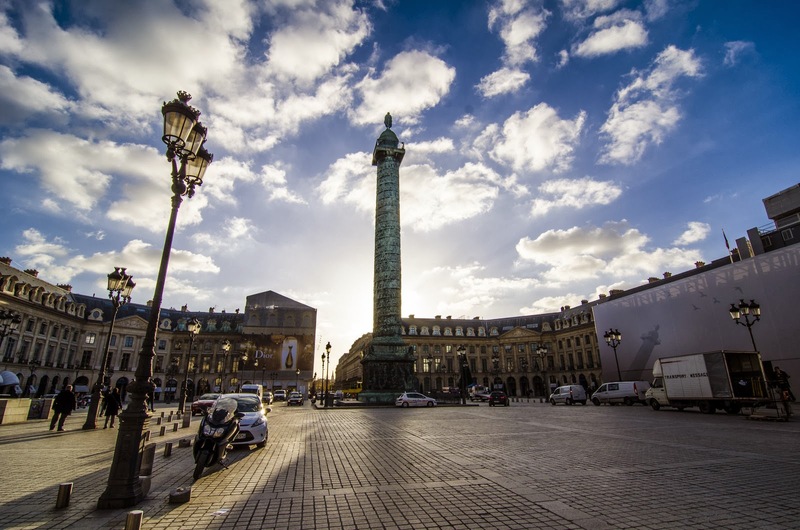 ParisDailyPhoto: Place Vendôme, the beautiful! It's still a spectacular shot, and the sky takes the breath away. Yes, but it's really annoying. Especially since this renovation has been going on for ever now! I like this photo -- wonderful lighting, and that "Tenin Perspective"! Merci Ms M. I was actually playing with the sun. I love the composition including the title. Work going on is such a picture for life in general ! The work must go on ! Magnificent place and light, great capture! A much better use for cannons! I'll be glad when they finish the renovations on the Ritz (not that I'll ever stay there, but they do have a nice public loo). LOOOOOL! I don't think I've ever been to the loo at the Ritz I must say (But I've only been there a couple times).